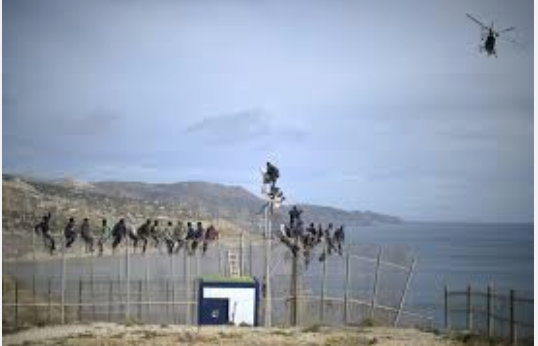 Madrid - Spanish Interior Minister Jorge Fernandez Diez inaugurated two international protection offices at the borders of Ceuta and Melilla to facilitate asylum requests by migrants trying to illegally enter the two Spanish enclaves in Morocco. Fifteen Guardia Civil agents were assigned to each of the two offices, Tarajal and Beni-Enzar border gates, to identify immigrants entitled to request international protection and ensure the start of the asylum applicant process "in a period of eight days." The initiative, Fernandez Diaz told media, is "a step of enormous significance to facilitate access to international procedure at the border, and bring international and European legislation to the subject." Applications will be reviewed and resolved, as is the case so far, by the Interior Ministry's Office of Asylum and Refugees.